Just this week alone, Trump informed his supporters and the media that there is no use in waiting for any so-called "presidential pivot," before he proceeded to suggest a second Amendment remedy to a possible Clinton win and accused President Obama of being "the founder of ISIS." While Trump was making his latest outrageous statement at a rally in Florida Wednesday evening, NBC News released a very revealing -- albeit rather apparent -- poll finding that seems to have been underreported. 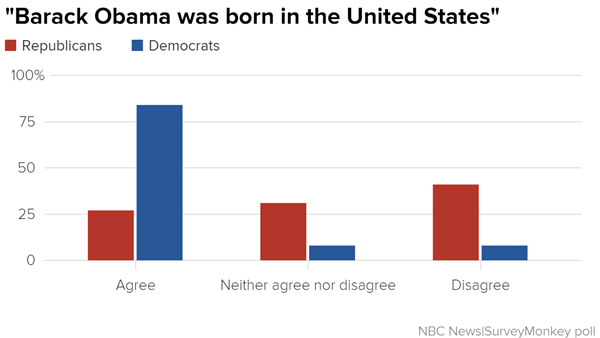 72 percent of registered Republican voters still hold doubts about the President's citizenship, even as his second term in office enters its final months.